UPCOMING EVENTS: Convocation, Oct. 6-9 | Osiris Theater Event – NOW: Sun, Nov. 5th!! Our annual Convocation commences on Friday, October 6 and runs through 8pm on Monday, October 9. Our extended schedule this year will bring you more of the topics and teachers you love. This year, we are pleased to announce and welcome our special Guest, Nicki Skully, who is promoting her latest book, SEKHMET: Transformation Through The Belly of the Goddess, released June 1, 2017. Her previous release in December, 2016, was The Union of Isis and Thoth: Magic and Initiatory Practices in Ancient Egypt co-authored with Normandi Ellis. In September 2011, Nicki published Planetary Healing: Spirit Medicine for Global Transformation (Bear & co.) co-authored with Mark Hallert. In 2010, she created a seven CD audio program, Becoming An Oracle, Connecting with the Divine Source for Information and Healing. Her most recent books are The Anubis Oracle, A Journey into the Shamanic Mysteries of Egypt (book and card deck, September 2008), and Shamanic Mysteries of Egypt, Awakening the Healing Power of the Heart (2007), both co-authored with Linda Star Wolf and illustrated by Kris Waldherr. She is the author of Alchemical Healing, A Guide to Spiritual, Physical, and Transformational Medicine, and Power Animal Meditations, Shamanic Journeys with Your Spirit Allies. Please visit her website to read more about her biography, and Shamanic Journeys. Many talented and magical people attend Convocation, and often offer wisdom, enlightenment, and a sharing of comradery and information in their presentations. Our schedule is robust, while providing a lot of friendly down-time to reconnect with friends, mother nature, and the TOI/FOI community. No matter what your spiritual practice is, we are inclusive, not exclusive. First-timers are especially welcome. We hope you will enjoy all that our Center for the Divine Feminine has to offer. Space, at this point, is very limited. If you are planning to attend and have not booked your reservations yet, please do so by calling 707-857-4747, or emailing [email protected] with “Reservations for Convocation” in the subject line. Room rates are per person, shared occupancy. Lodge rooms are $125/person per night and include all events and meals. Dorm rates are $75/night, or free for volunteers (contact [email protected] if you wish to volunteer). Day passes are $60 and only cover events from 11am-11pm and two meals. If you choose to stay past 11am on Monday and do not plan to stay overnight, the day pass rate will apply, which covers the cost of your meals. For more information, such as a list of speakers and schedule of events as they become available, please visit the Temple of Isis Convocation Website. OSIRIS MYSTERIES DINNER THEATER EVENT/SAMHAIN UPDATE – RSVP FOR PARTICIPATION NOTICE the DATE CHANGE! NOW NOVEMBER 5th!! Join us at the Temple of Isis Dinner Theater for an evening of Ancient Egyptian Myth and Mystery. The cycle of stories known as the Osirian Resurrection was the most important part of Ancient Egyptian myth. It was central to their religion for over 3,000 years. The myth of the death of Osiris and his resurrection by Isis became the foundation of the faith of the Egyptian people confirming their belief in a life after death. 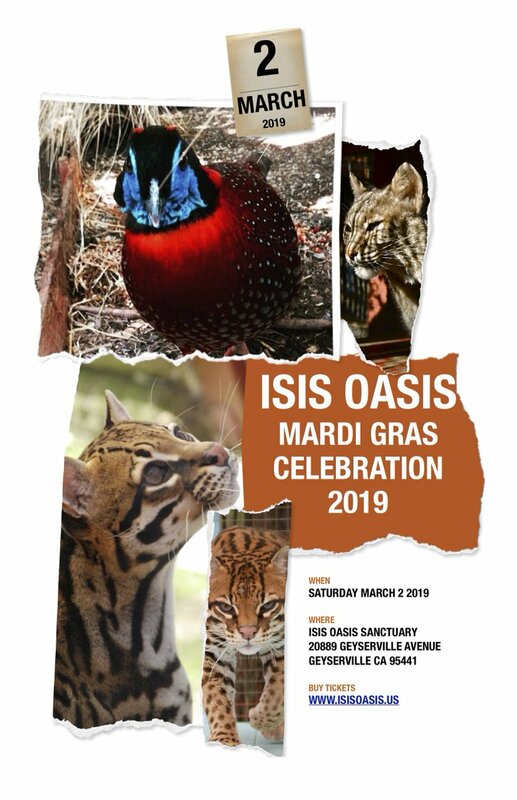 We will revive the myth of Isis and Osiris as they enact their drama of death and life, renewal, remembering and resurrection. We offer this at the perfect time of approach of winter. The time, also of Samhain, to counterbalance and complete the Beltane celebration of May. Wear Egyptian costume and become a living part of the drama as it unfolds around us! We attendees – as initiates – will be able to partake in the Horus/Osiris’ resurrection, purging ourselves of past ills, and entering a new life. 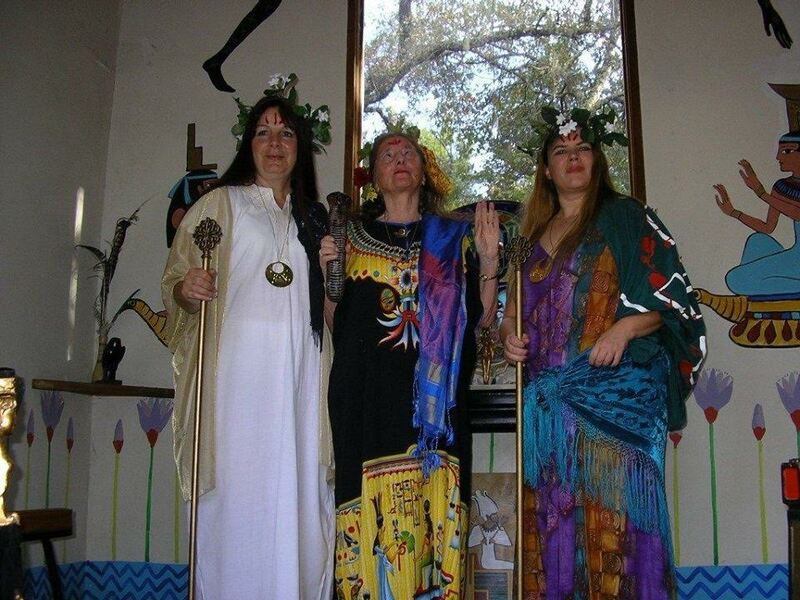 A special talk by Marylyn Motherbear will precede dinner – leading a discussion on the common factors between ancient Egyptian myth and calendar with the Celtic Neo-Pagan Greenman and Samhain traditions. Contact Priestess Ann Brigit Waters if you wish to participate as a “player” (we need acolytes, dancers, Temple servers) or attend as an initiate. The cost of this evening includes dinner, breakfast, and an overnight in the Isis Lodge (shared room) of $155 with all profits benefiting the Temple. Email Annie Waters your RSVP with your phone number included. That’s our latest news. Stay tuned for more events to be added for our FALL/WINTER season! NOTICE of WELCOME to ALL FIRST RESPONDERS!